MetroHealth – New Hospital and Central Utility Plant (CUP)Donley’s will serve Design Assist Concrete Contractor for the $18M package for Turner Construction as part of MetroHealth’s transformation initiative. The New Hospital and CUP is a proposed 720,960 sq. ft. facility including ten stories plus a penthouse in the New Hospital, a two-story free standing CUP, and 36,957 sq. ft. of renovation/addition in two levels of the existing Critical Care Pavilion (CCP). The New Hospital will include 268 patient rooms, of which include 124 ICU’s and 144 medical surge rooms. Donley’s construction management group will also be serving as part of Turner’s team during this project. Donley’s will be providing Design/Build services for the improvements of Jackson Street Pier for the City of Sandusky. The $7 million improvement project is part of the City’s overall goal to improve waterfront access citywide with the activation and improvement of the City’s waterfront parks. This October, Donley’s will be reconstructing Jackson Street Pier from its current use as a parking lot and transforming it into a park, with green spaces and streetscaping features. Donley’s will serve as Construction Manager at Risk on this $18 million renovation project. The Angie Fowler Adolescent and Young Adult Cancer Center will be an inpatient oncology unit and will serve infants to young adults for treatment of cancer. The new unit consists of approximately 24,000 sq. ft. and has 20 private inpatient rooms. We are excited to start construction on the project this November. 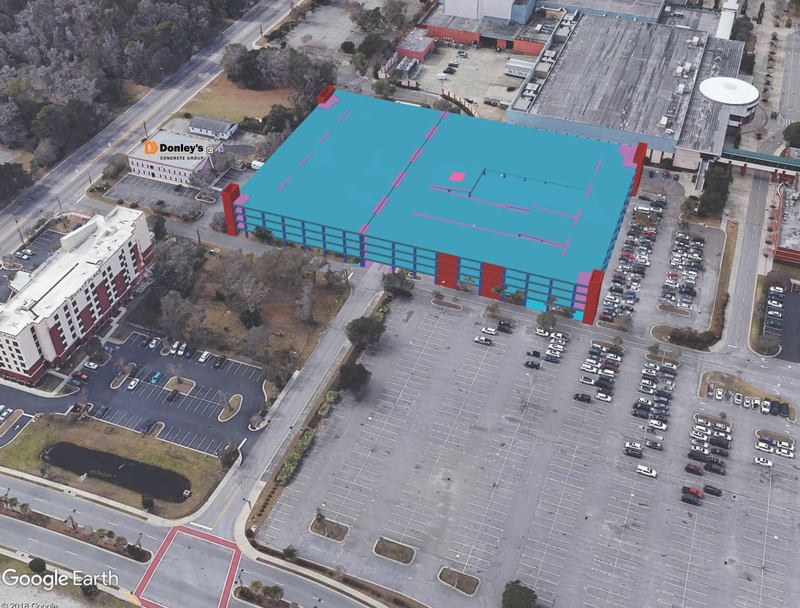 Donley’s Concrete Group, as part of the team with MB Kahn, received a Notice of Intent of Award for the design/build of a 2,000-car cast-in-place parking deck in the City of North Charleston. The deck will be built right behind our Charleston office with construction beginning in January 2019. Congrats and thanks to the entire DCG team for your hard work!